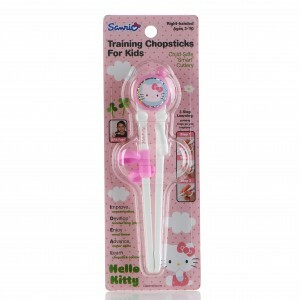 A new stocking-sized gift idea for children that combines fun, education and development – child development chopsticks – is launching in the UK in October. From Korea, CleverstiX are said to be easy to use, cool, stylish, high-quality and child-safe products for kids aged three years and over. They are available in versions featuring much-loved children’s characters including Hello Kitty and Kung Fu Panda, and are endorsed by the Science Museum, London. Thanks to the benefits of the patented ergonomic design (featuring strategically positioned finger and thumbs rings), CleverstiX can aid children while they eat, improve concentration, develop a handwriting grip, enjoy meal times, advance motor skills and learn chopstick control, the company claims. Already scheduled to hit the shelves in the Science Museum Shop next month, CleverstiX are available now for wholesale orders to retailers, restaurants, nurseries, schools and other organisations. Kevin North, founder of CleverstiX.com, said: “I discovered this amazing product during visits to South Korea, where its popularity in recent years has exploded. “After originally bringing some home to the UK as gifts for friends and my own young son, I was astounded by the overwhelmingly positive feedback received from parents and children alike, which I am delighted to see has been echoed consistently through focus group and pre-launch user reviews.